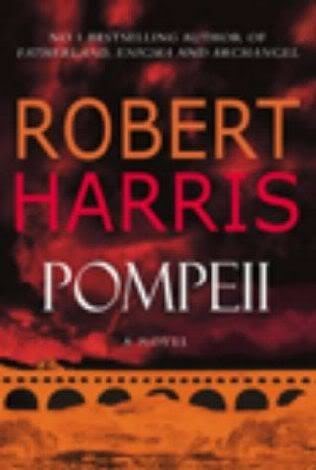 Having read loads of Robert Harris novels I Was pleased, but not altogether surprised to learn that Recent research, carried out by scientists at Emory University in the US, suggests that Being pulled into the world of a gripping novel can trigger actual, measurable changes in the brain that linger for at least five days after reading. They found that reading a good book may cause heightened connectivity in the brain and neurological changes that persist in a similar way to muscle memory. n 1975 he joined Rainbow. Powell and Ritchie Blackmore were the only constants in the band’s line-up over the next five years, as Blackmore evolved the sound of the band from a neo-classical hard rock to a more commercial AOR sound. 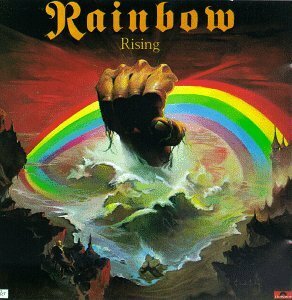 Rainbow’s 1979 Down to Earth LP (from which singles “Since You Been Gone” and “All Night Long” are taken) proved to be the band’s most successful album thus far; however, Powell was concerned over the overtly commercial sound. Powell decided to leave Rainbow, although not before they headlined the first ever Monsters of Rock show at Castle Donington, England on 16 August 1980. The festival was Powell’s last show with the band. After Powell left Rainbow he worked with vocalist Graham Bonnet (he too an ex-Rainbow member) on Bonnet’s new project calledGraham Bonnet & The Hooligans, their most notable single being the UK top 10 single “Night Games” (1981), also on Bonnet’s soloLine Up album. For the rest of the 1980s, Powell assumed short-term journeyman roles with a number of major bands — Michael Schenker Group from 1981 to 1982, and Whitesnake from 1982 to 1985. In 1985 he started recording with Phenomena for their first album, which was released in 1986, when he joined up with Keith Emerson and Greg Lake as a member of Emerson, Lake & Powell. Powell worked with Gary Moore in 1989, followed by stints with Black Sabbath from 1988 to 1991, and again in 1994–1995. Between late 1992 and early 1993, Powell put together an occasional touring band using the old band name ‘Cozy Powell’s Hammer’ featuring himself on drums, Neil Murray on bass, Mario Parga on guitar and Tony Martin on vocals and occasional rhythm guitar/synth module. The band performed throughout Europe and appeared on German television. Powell along with Neil Murray were members of Brian May’s band, playing on the Back to the Light and Another World albums. Cozy played with May opening for Guns N’ Roses on the second American leg of their Use Your Illusion tour in 1993. The duo also served a spell with blues guitarist Peter Green in the mid-nineties. Cozy’s last recording session was for Colin Blunstone’s The Light Inside, alongside Don Airey, which was released shortly after Cozy’s death. Prior to his death in 1998, Cozy had pulled out of a tour with Swedish guitarist Yngwie Malmsteen due to an injury and was preparing to tour with Brian May. The final solo album by Cozy Powell Especially for You was released in 1998 after his death, and featured American vocalist John West, Neil Murray, Lonnie Park, Michael Casswell and others. Powell had a fascination with fast cars and motorbikes, and raced for Hitachi on the UK saloon car circuit for a few months. He made headlines, when he appeared on the BBC children’s programme Record Breakers, where he set a world record for the most drums played in under one minute, live on television.